Two years later, I had the privilege of taking a newly designed geophysics class from Jack Jacobs and Don Russell, two of the founders of plate tectonics theory. The course used the textbook they had written with J. Tuzo Wilson.1 There I learned about the emerging strong evidence that Earth has had a long history of powerful plate tectonics that gave rise to continents, mountain ranges, and volcanoes. I recognized that this model of Earth’s history was at least broadly consistent with the biblical description of creation day 3. 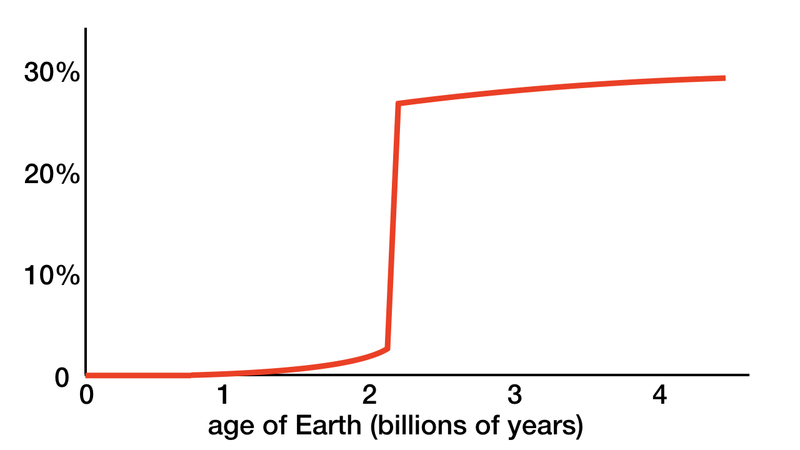 However, Genesis 1 implies that the majority of continental landmass growth occurred within a short time period when Earth was about half or a little less than half its present age, which could correlate to the first part of day 3. 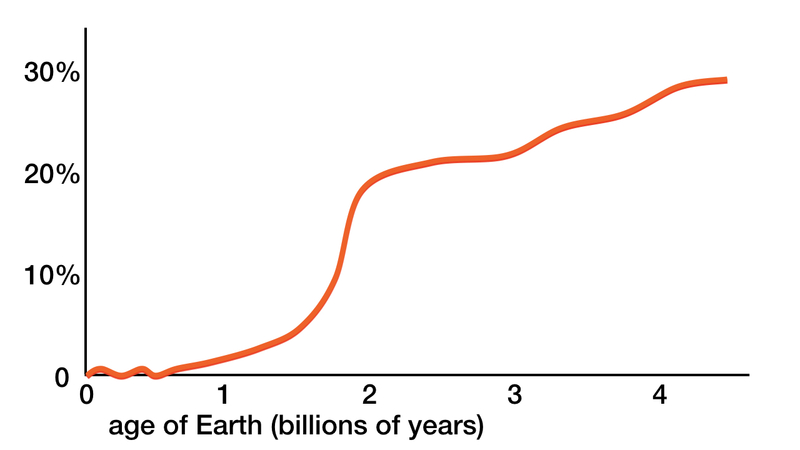 So the question becomes, does Earth’s geological history support such rapid landmass growth? In 1982, geoscientists used major element chemistry of lutites (fine-grained sedimentary rock consisting of clay or silt-sized particles or both) to infer that much of the continental landmass formation occurred 2.1–2.5 billion years ago.2 Then in 2016, geoscientists used radiometric dating and the oxygen-18 to oxygen-16 (O-18/O-16) isotope ratio of shale deposits around the world to more accurately determine that indeed the bulk of continental landmass formation occurred about 2.5 billion years ago.3 Figure 1 shows the continental landmass growth as a percentage of Earth’s total surface area based on the O-18/O-16 ratio. I have been using this figure in my talks and books on the concordance of Genesis 1 with the established scientific record. In the May 2018 issue of Nature, a team of geologists and geophysicists led by Ilya Bindeman provided the most accurate constraint, to date, on the emergence of continents over the past 3.7 billion years. They are the first team to use triple-oxygen isotope ratio analysis on shale deposits from all continents.4 Shales are useful for this kind of research because they are the dominant sedimentary rock on Earth and they are the products of chemical and physical weathering of landmasses. Hence, shales are an excellent proxy for how much of Earth’s surface is comprised of landmasses. Unlike previous studies, Bindeman’s team analyzed both the O-18/O-16 ratio and the oxygen-17 to oxygen-16 (O-17/O-16) isotope ratio in the shale deposits. Theirs is also the most extensive sample of shale deposits. They analyzed shales from 278 outcrops and drill holes on all seven continents. The combined use of two isotope ratios enabled Bindeman’s team to determine exactly how the shale deposits were formed. This knowledge allowed them to accurately reconstruct Earth’s past surface conditions. 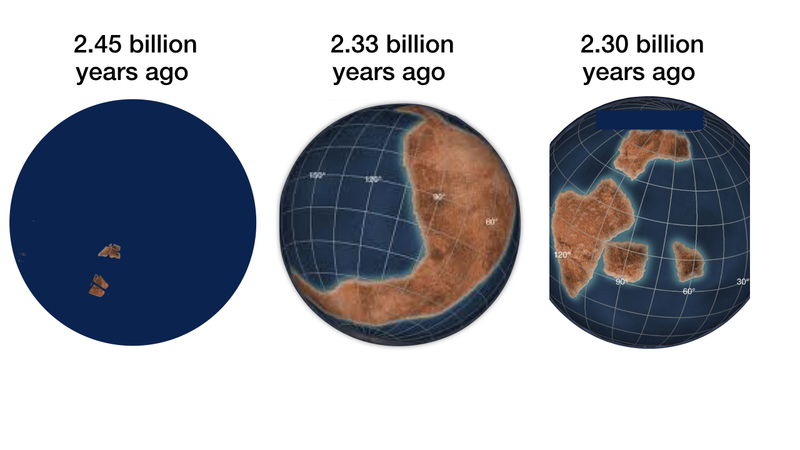 Figure 2 shows the growth history of Earth’s continental landmasses based on the data presented in the Bindeman team’s paper. Figure 3 shows rough maps of the extent of continental landmasses on Earth’s surface at three different times. The full paper published in Nature includes a gorgeous image showing, in accurate detail, first the extent of Earth’s landmasses previous to 2.45 billion years ago, showing only two mini-continents or cratons, and second the extent of Earth’s landmasses after 2.32 billion years ago, showing the extent of Kenorland, the first supercontinent. The two maps show that in less than 0.13 billion years, landmass coverage expanded by about 13 times. The formation of Kenorland permitted, for the first time, recycling of nutrients from the landmasses to the oceans and back sufficient enough to sustain longterm advanced life. Kenorland’s rapid formation also coincided with the Great Oxygenation Event, which I describe in detail in my book Improbable Planet.5 The Great Oxygenation Event was critical for paving the way for sustaining longterm advanced life. The more accurately determined growth history of Earth’s continents is more consistent with the implication in Genesis 1:9 that nearly all continental landmass growth occurred within a short time period when Earth was about half or a little less than half its present age. The research achieved by Bindeman’s team affirms that the more we learn about science and the record of nature, the more reasons we gain to trust the Bible as the inspired, inerrant, authoritative Word of God. J. A. Jacobs, R. D. Russell, and J. Tuzo Wilson, Physics and Geology (New York: McGraw-Hill, 1959). H. W. Nesbitt and G. M. Young, “Early Proterozoic Climates and Plate Motions Inferred from Major Element Chemistry of Lutites,” Nature 299 (October 1982): 715–17, https://doi:10.1038/299715a0. J. W. Valley et al., “4.4 Billion Years of Crustal Maturation: Oxygen Isotope Ratios of Magmati Zircon,” Contributions to Mineralogy and Petrology 150 (December 2005): 561–80, https://doi:10.1007/s00410-005-0025-8; I. N. Bindeman, A. Bekker, and D. O. Zakharov, “Oxygen Isotope Perspective on Crustal Evolution on Early Earth: A Record of Precambrian Shale with Emphasis on Paleoproterozoic Glaciation and Great Oxygenation Event,” Earth and Planetary Science Letters 437 (March 2016): 101–13, https://doi:10.1016/j.epsl.2015.12.029. I. N. Bindeman et al., “Rapid Emergence of Subaerial Landmasses and Onset of Modern Hydrologic Cycle 2.5 Billion Years Ago,” Nature 557 (May 23, 2018): 545–48, https://doi:10.1038/s41586-018-0131-1. 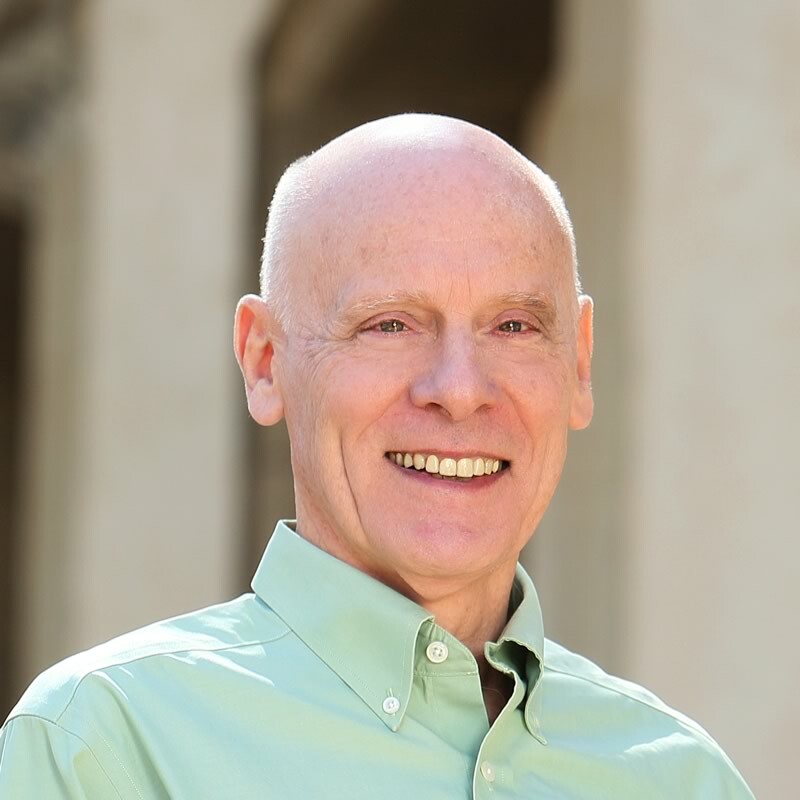 Hugh Ross, Improbable Planet: How Earth Became Humanity’s Home (Grand Rapids: Baker, 2016), 119–27. As a passionate lifelong reader, I have several reading goals in mind. First, I certainly want to be well-read when it comes to Holy Scripture. Second, I want to read many of the classics of Western civilization. Third, I want to read many Christian classic texts as well. The US Food and Drug Administration is concerned that Americans consume too much salt. Yet, when my wife was pregnant with our sons, her obstetrician was concerned that she was not consuming enough salt. In other words, too much—or too little—salt in our diets can be harmful. And what is true for humans is true for every life-form. Now a new scientific discovery reveals that cyanobacteria play a vital role in maintaining a perfect salt balance in our oceans. C. S. Lewis helped me to realize that I need to read books that appeal to my reason as well as books that appeal to my imagination. In fact, Lewis was highly skilled at writing both types of books. So I naturally like to read nonfiction books on such topics as history, philosophy, and science, but I have learned the value of also reading fictional and aesthetically oriented works.